Purpose: Use this document as a reference for creating a checklist using Workforce Administration in ctcLink. Use the Person Checklist to create checklists for processing employee hires and other administrative tasks. Enter the EMPLID and click the Search button. 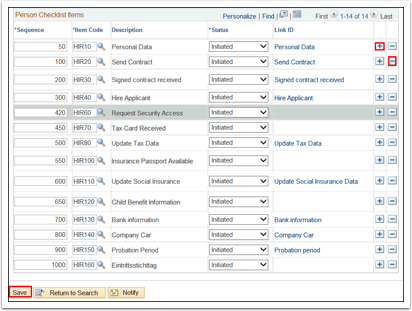 The current date defaults in the Checklist Date field. 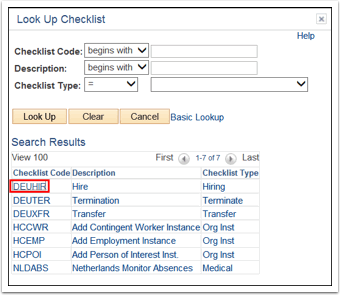 Click the Checklist lookup icon. Note: Consult with the local HR Team for a complete list of checklists used in the organization. The personal checklist items will display. Click the [+] button to add new items to the list. Click the [-] button to delete items from this list.